Our beautiful hand painted white porcelain mini tea set is a wonderful baby gift or special birthday gift. The tea set includes a handled tray, a tea pot, two tea cups with saucers, a sugar bowl and creamer. 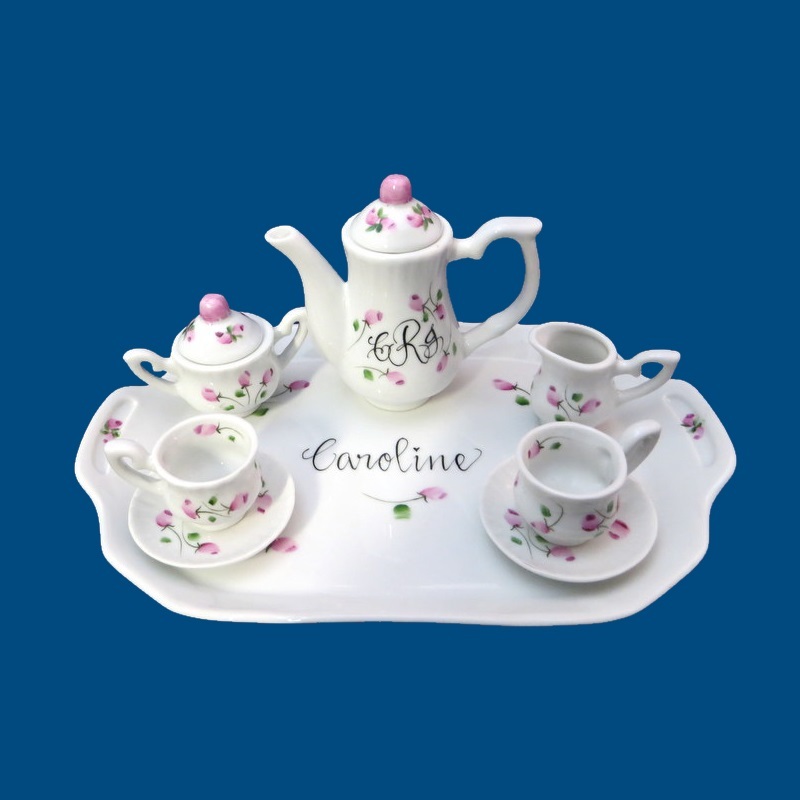 Bev hand paints flowers on all the pieces and personalizes a name on the porcelain tray and monogram initials on the tea pot. A short personal message can be personalized on the back of the tray. For example, "Hugs and kisses Love, Aunt Heidi and Uncle Steve March 18, 2010. A gift box with tulle ribbon and enclosure card is complimentary with your purchase. Tray: 9 1/4" x 6"